Despite the blatant evidence that constitutes this incident as a hate crime, Mustafa Ayoubi’s murder has been labeled an incident of road rage. This begs the question, who in their right mind would shoot someone simply out of road rage? The answer: no one. This is a hate crime. Despite this, article after article, news report after news report question the nuances of this case in an attempt to debate and categorize this violent crime as road rage gone bad. It seem utterly inexplicable that the fact that SEVERAL eye witnesses heard Passarelli scream Islamophobic slurs doesn’t AUTOMATICALLY label this a hate crime. According the FBI, a hate crime is traditionally defined as an offense like murder, arson, or vandalism with an added element of bias. Just because Ayoubi and Passarelli’s altercation took place in a parking lot, does not make this a road rage incident. The Islamophobic rhetoric that Dustin spat out, however, makes it pretty clear that this incident was a hate crime. The state of Indiana, currently, is one of five states that does not have an official hate crime legislation, making it incredibly difficult for victims to receive justice accordingly. The lack of official legislation addressing hate crimes illustrates the depth of systemic racism in America. Our judicial system does not, and never has, intended on representing people of color, in part because it’s founders drafted our laws on racist ideologies. 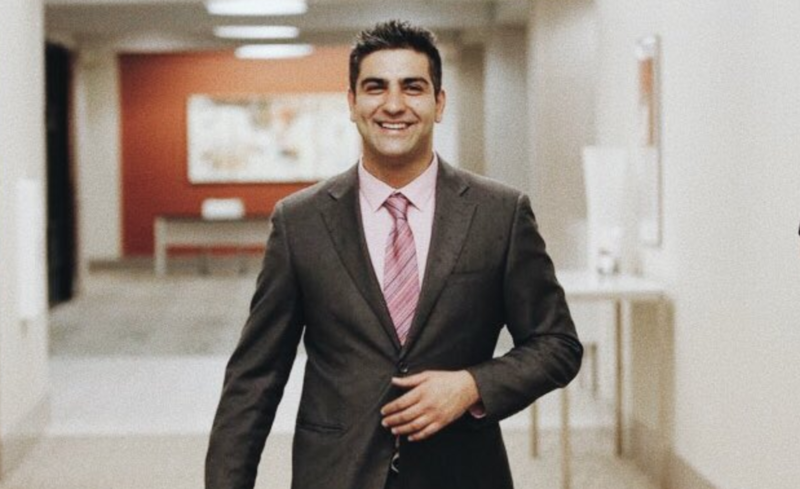 The unjust nature of the American judicial system has left Mustafa Ayoubi’s family fighting to prosecute Dustin Passarelli’s actions as a hate crime. Instead of healing and coping with the loss of their own, the system has placed an unnecessary burden on the family. Marginalized, oppressed communities should not bear the responsibility of fixing a broken system that is stacked against their well being. Yet, we find ourselves still fighting for justice. Mustafa Ayoubi’s murder is unfortunately one in many that has crushed the hearts of the Muslim community. Four years ago, we lost three beautiful souls due to a “parking dispute” in Chapel Hill, North Carolina. At the time, there wasn’t one news outlet that didn’t insist that the senseless murders of Deah Barakat, Yusor Abu-Salha, and Razan Abu-Salha, were no more than a parking dispute. This was despite the families of the victims claiming that the gunman had threatened the victims before, and that they believed his Islamophobia was the cause. Two years later, a young 17-year-old by the name of Nabra Hassanen was beaten to death with a baseball bat. Once again, outlets such as CNN repeated the same trope about how Nabra’s brutal murder was not a hate crime, and that Nabra’s parents may have claimed that her death had the “hallmarks of a hate crime” because they could have either been “seeking a thrill”, or “defending their turf”. You can’t make this stuff up, folks. To say these lives were lost to parking disputes, or road rage incidents undermines the daily struggles faced by Muslims in the U.S. We need to start speaking the truth: Nabra, Deah, Yusor, Razan, and Mustafa, died because of unchecked Islamophobia. To ensure that our future generations get the justice they receive, we must place pressure on our legislators to adjust the justice system so that it can address bias, hate, and oppression.